What Is a Hostel Curfew and How Do They Work? Hostel curfews are no longer as common as in days of yore when more hostels had live-in owners, but hostel curfews do still exist. And they're exactly what they sound like: at a certain time in the evening, the front doors to the hostel will be locked (often they won't even be able to be unlocked by guests), and the hour at which access to the hostel is lost is known as the curfew time. Hostel curfews exist for accommodation where the staff doesn't live on site and the reception isn't open for 24 hours a day. If staff need to get home each evening, they'll lock the front door of the hostel, and if you don't have a key, there's a high chance of you being left out on the street for the night unless a fellow guest hears your banging and lets you in. Sometimes, your key won't even give you access to the hostel after the curfew, and you'd have to make alternative arrangements if you happen to not make it back in time. As for the hour of the curfew, it's reasonably acceptable. If your hostel does have a curfew, it'll be likely to be around 11 p.m. or later. Because of this, you should expect that any hostel with a curfew will be the opposite of a party hostel. Some old-fashioned hostels even request that their guests be in bed with the lights out after a certain time, so only opt for those places if you value a good night's sleep. 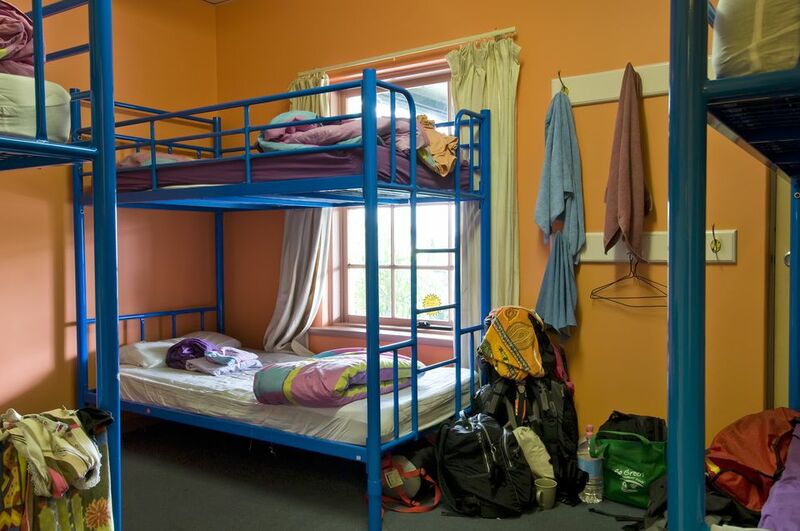 Keep in mind that a hostel curfew is not what is known as "lockout", which is when the hostel closes in the middle of the day for a few hours, typically so the staff can clean the rooms without backpackers underfoot. Why Do Hostel Curfews Exist? It's typically for safety purposes. If the hostel is locked at night, nobody can come in, so guests are kept safe in their rooms. It's less likely that somebody will saunter in as if they're a paying guest and sneak into a room to rob travelers, or worse. If the hostel only has a few members of staff, they may have a curfew so that everyone can go home to sleep if there aren't enough people to work the night shift on reception. Not every hostel has an all-night reception, and the staff does need to sleep, so a curfew allows them to get home at a reasonable hour. They're typically quite rare so you don't need to worry too much about them, as you won't be coming up against them every single night or anything. If hostel curfews sound like your idea of hell, the easy way to get around it is just to avoid staying in a hostel that has them. It'll usually be mentioned in the description on the hostel booking site, and if it's not, it'll definitely be mentioned in the reviews. It's one of the most common complaints of travelers, so expect to read people moaning about it if it exists. One main advantage is that it keeps you safer than other hostels, where anybody could walk off the street and into your room. If you're a solo female traveler, safety can be a real concern. If you're nervous about security, having that peace of mind can really help you sleep better at night. And if you're staying in a dorm room, that's something you'll really need in your life. Another advantage of a curfew is that it stops you from partying all night. And the benefit to that is getting to wake up in the morning feeling fresh and ready to explore for the day. If you're not a partier when you travel, that's going to be a huge benefit. You'll gain a better night's sleep as you won't have people stumbling into your dorm at 4 a.m. after a heavy night of drinking. If you appreciate peace and quiet when you travel, and value your sleep, a hostel with a curfew is likely to be the perfect fit. To be frank, hostel curfews are annoying. They interrupt your plans and can often lead to you cutting a fun evening short because you have to be back inside before the front door to your hostel is locked. Even if you happen to have a curfew that you can bypass through having a key, knowing that you won't be able to get back inside your hostel if you lose it can keep your mind on other matters throughout the evening.